↑ 3,0 3,1 Azzerrad, Michael (1993). Come as You Are: The Story of Nirvana. Doubleday. pp. 148. ISBN 0-385-47199-8. ↑ «Dave Grohl biography». source=AMG. Drummerworld. 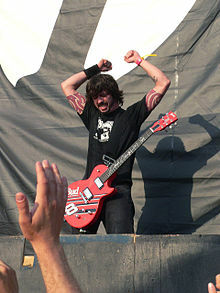 2009. http://www.drummerworld.com/drummers/Dave_Grohl.html. Retrieved 2009-11-15. ↑ Lynskey, Dorian. «The Man Who Fell To Earth». Arena. December 2002. ↑ Levin, Hannah «The Melvins». houstonpress.com. August 27, 2009. ↑ Roberts, Michael. «Bring Back that Sunny Day.» Miami New Times. December 3, 1998. ↑ Cameron, Keith . «„'I’ve never gotten off on chaos'“.» guardian.co.uk. September 14, 2007. ↑ Full Cast and Credits for Backbeat (1994)". imdb.com. http://www.imdb.com/title/tt0106339/fullcredits. Retrieved 2010-03-18. ↑ D’Angelo, Joe . 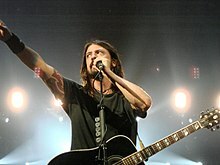 «„Dave Grohl Preps A 'Death Metal Supernatural' With Probot“.» mtv.com. January 29, 2001. ↑ Thompson, Ben . «„Dave Grohl: Release the Probot“.» independent.co.uk. April 2, 2004. ↑ Martin, Dan (6 November 2008). 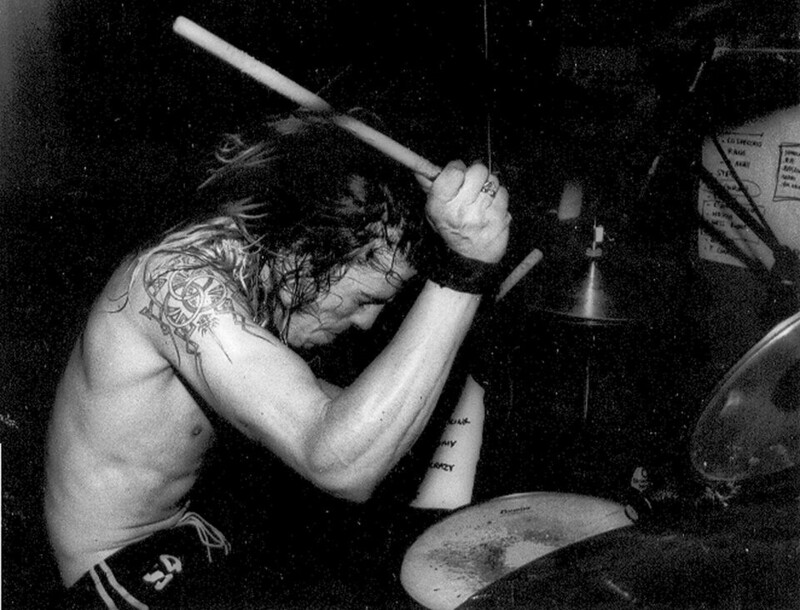 «Dave Grohl drums for the Prodigy». The Guardian. http://www.guardian.co.uk/music/2008/nov/06/dave-grohl-returns-to-drumming.